On Sunday 3 June at 11:00 am, we celebrate the World Non Tobacco Day. The aim is to inform the public with regards to smoking. Every year on World Non Tobacco Day, people are encouraged to avoid smoking, even if it’s just for a day. This year’s Ministry of Health campaign goal is to inform the public on the new law which has been recently introduced against smoking, and to educate the public on their rights and obligations. 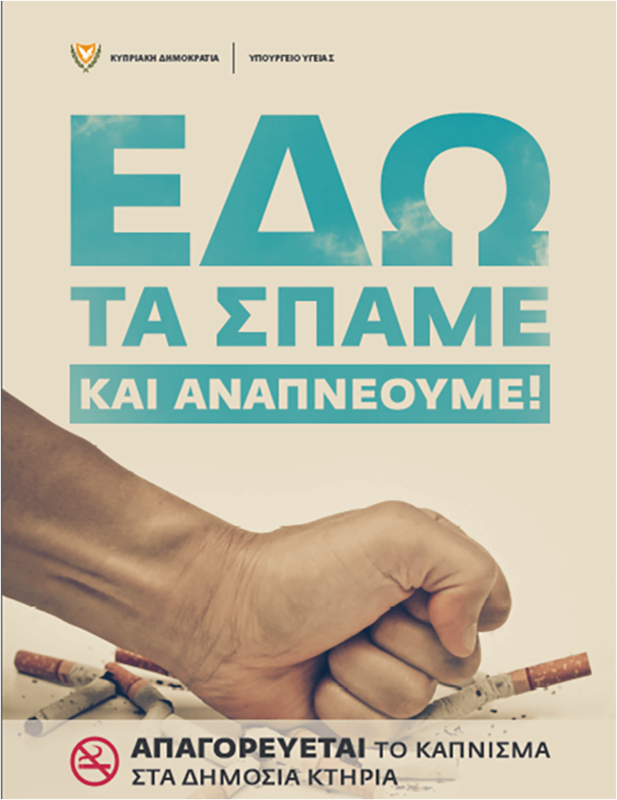 Also, like every year, we would like to inform for the devastating and harmful consequences of smoking and present the smoking cessation program in Cyprus, which is free to the public.